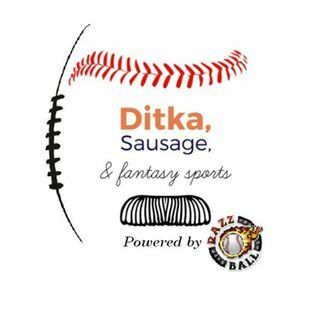 This week on the Ditka, Sauasge, and Fantasy Sports podcast, Donkey Teeth and B_Don profile 2 undrafted rookies that are hot waiver wire pickups this week, Josh Adams and Gus Edwards. The guys talk about ... Más informaciones their film review, the roles in the offense, and their value for this year and going forward. Donkey Teeth racks up his dental bill with more candy and the guys do some Sausage, Cheesehead, Ditka with Aaron Jones, Marquez Valdes-Scantling, and Larry Fitzgerald. Of course the guys bring you the best segment in fantasy football podcasting as each of the guys gives you an A**hole of the Week! Follow the podcasters on Twitter @DitkaSausagePod and @Donkey Teeth87. Subscribe to the podcast wherever you listen and if you have any questions or would like the guys to profile somebody, let us know in the comments or on Twitter.